Every family needs to spend quality time together, but this is often easier said than done. Younger kids can’t typically participate in the same games as the older kids, and parents are rarely excited to try the same types of activities that their kids are begging for. Board games can be fun, but they’re either far too simple for older kids or far too complicated for younger kids. Outside games like four-square and paintball are great for pre-teens and their parents, but what will the little ones do while everyone else is having fun? Here at Octopit, we’re on a mission to introduce families all across America to a new game that’s guaranteed to please parents and kids of all shapes and sizes. It’s called Gaga Ball! Invented for kids, by kids, this game is taking the world by storm. It’s a great way to get physical exercise, build up motor skills that are useful in organized sports and at school, and bring the entire family together for a fun game that’s challenging and rewarding! One of the great things about playing gaga ball is that it’s designed to accommodate as many people as you happen to have hanging around. Is it only you and your son? Great! Gaga ball still works. Are you hosting a birthday party of 12 kids or more? No worries, just tell everyone to hop into the gaga ball pit and start playing. Has your entire family become gaga ball experts? If you’re looking for a way to increase the difficulty of the game, try adding another ball! This makes it possible for two people to be striking at one time, meaning players have to keep their head on a swivel to avoid getting “out”! Trying making one ball big while one ball is smaller to really keep all the players on their toes! Another thing that can up the difficulty level of your gaga games is to shrink the size of your Octopit. A standard Octopit has rails that are eight feet long. This results in an octagon shaped pit that’s 20 feet long from rail to rail and 22 feet from corner to corner. Want to make things more challenging? Simply request a customized Octopit that brings everyone closer together. Start Your Family Adventure With Gaga Ball Today! If you’re an active family that loves spending time together, but have been growing tired of your usual games and activities, give gaga ball a try today! 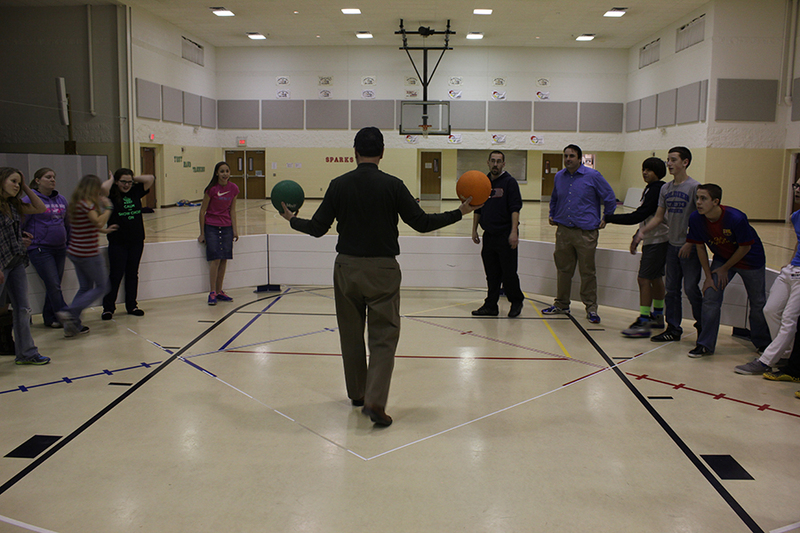 You can read through all of the news and resources on our site to see how the country is going “gaga” over gaga ball! Then, learn more about our uniquely-designed pit, which is made with sturdy legs and created to go from box to ballplay in 15 minutes flat! We’ve also put together a blog post answering some commonly asked questions about gaga ball, but if you don’t see what you’re looking for there, be sure to contact us. We’re always happy to share out love of gaga ball and help more families embrace the fun in their own backyards!